Officials and medical personnel have expressed concern that American troops being deployed in Liberia to fight the spread of the Ebola virus may be at risk for contracting malaria, an often just-as-deadly disease more easily spread in an insecure sanitary atmosphere. A local report from Denver’s KUSA notes that, in the wake of Fort Carson, Colorado sending 160 troops to Liberia in the coming weeks, military medical personnel are beginning to engage with the possibility of troops contracting malaria. According to medical expert Dr. John Torres, one child dies every day in Africa from malaria, an astronomical figure. While Ebola can only be transmitted through contact with the bodily fluids of an infected person, individuals can contract malaria through mosquito bites, which puts many more people at risk and makes the potential for infection much higher. Medical experts in Africa warn that there will likely be a simultaneous increase in deaths by unrelated infectious diseases in Ebola-affected regions, as medical resources go to containing the virus rather than combating other diseases. Reuters reports that malaria, diarrhea, and pneumonia are expected to kill many more people until the Ebola outbreak subsides — and malaria already kills an average of 100,000 people per year in west Africa. These deaths, which experts describe as “collateral” to the main Ebola outbreak, also affect a number of health workers and officials who would otherwise be able to work to contain the spread of Ebola, which leaves the medical infrastructure of affected areas severely diminished. 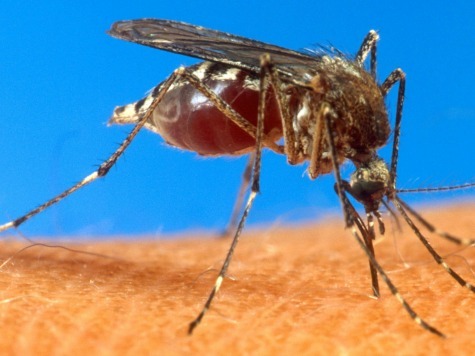 Concerns about malaria began to escalate in August, as the Ebola outbreak, which began in February, continued to escalate and west Africa’s rainy season — comfortable weather for mosquitoes — entered the equation. As Bloomberg reports, the rise of malaria also complicates the Ebola fight because early symptoms for both diseases are similar, and individuals who believe they might have malaria are actively avoiding hospitals in an attempt to prevent contraction of Ebola. Experts note that the confusion has led to a higher death toll for diseases unrelated to Ebola, which complicates the collection of data regarding Ebola itself. The World Health Organization announced this week that its latest count places the Ebola death toll at 3,338, with more than 7,000 confirmed cases, though the organization noted also that the number is likely a severe underestimation of the total number of cases given the reluctance by many to approach medical professionals upon identifying symptoms of Ebola and the difficulty in reaching many affected rural areas.